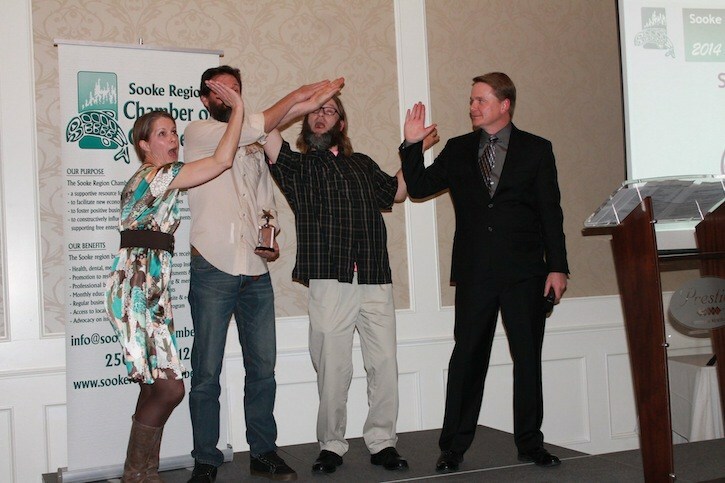 2015 Sooke Chamber of Commerce Business Excellence Awards took place on April 11. Apr. 15, 2015 11:00 a.m. The staff from the Stick in the Mud accept their People’s Choice award at the Business Excellence Awards on April 11. They also won for Business of the Year. A complete list of the winners will appear in next week’s issue of the Sooke News Mirror.